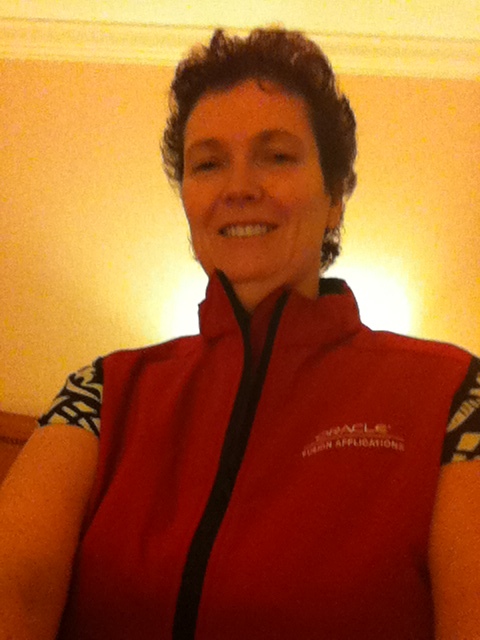 I have my new vest, and actually well done to Oracle, they have women's versions as well so quite happy to wear it. Like the bag although disappointed you had to chose between standard OOW messenger bad which also looked great and this one. I have my new red shoes, my nails are painted and I'm all set. My first presentation the PDC ' Your Path to Understanding Fusion Applications' is on in just under two hours.